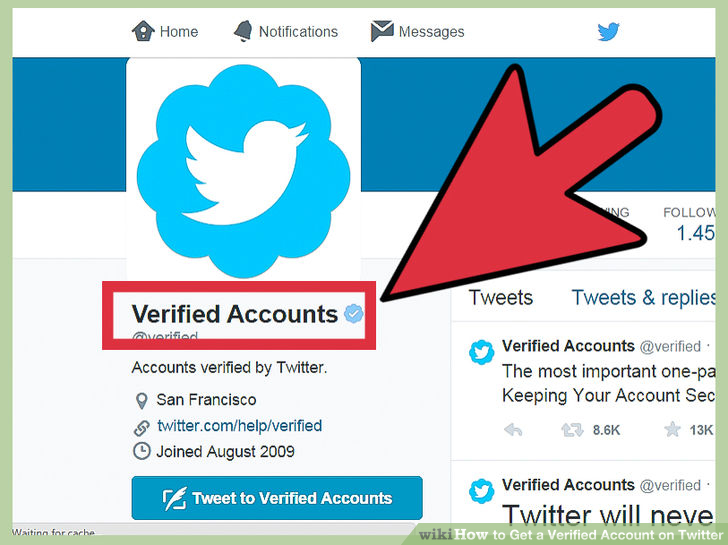 How and why you should verify your Twitter account?You can finally request that coveted blue verified Twitter badge that has eluded you for seven years. How and why you should verify your Twitter account?You can finally request that coveted blue verified Twitter badge that has eluded you for seven years. The equally vaunted and ridiculed blue checkmarks on Twitter are no longer exclusive to elites or those with connections who have an “in” at Twitter. The company this week opened the verified account designation up to all users and put some rules in place for consideration. Many of Twitter’s 310 million monthly active users don’t qualify for verification, but the company is opening the secretive and invite-only process up to anyone. Accounts of public interest, particularly those maintained by individuals and organizations in “music, acting, fashion, government, politics, religion, journalism, media, sports, business, and other key interest areas” are all up for consideration, according to Twitter. “We hope opening up this application process results in more people finding great, high-quality accounts to follow, and for these creators and influencers to connect with a broader audience,” Tina Bhatnager, Twitter’s vice president of user services, said in a prepared statement. Twitter originally introduced account verification in 2009 and has verified almost 187,000 accounts to date, according to the company. The designation is largely symbolic, but also a defensive move against the untold number of impersonators, satirists, trolls and hatemongers who roam freely on Twitter. Oftentimes the dynamic between fans and celebrities or public figures on Twitter is only rewarding if the authenticity of the user being followed is endorsed. Trust matters on Twitter and that’s exactly why anyone who wants to be verified should take steps to do so. If you carry any impact in your community, field of work or areas of heightened awareness and visibility, a verified account will let your followers know you’re the real deal. Open your Twitter account settings and make sure you have a verified phone number, confirmed email address, a bio, profile photo, header photo, a website and a birthday (required for personal accounts only). Your tweets must also be set to public in your privacy settings. Improve your chances of approval by having a username that reflects the real name of the person or company. The account’s profile or header photo should also reflect the person or company’s branding, according to Twitter. Fill out and submit the form to request account verification. Explain why Twitter should verify your account and provide examples to help the company understand your impact. Provide at least two URLs to showcase your newsworthiness or relevancy in your field. Finally, Twitter may also request a scan or photo of a government-issued ID to confirm your identity.